“Just like pizza,” the saying goes — "Even when it’s bad it’s still pretty good.” There are some people, however, who want more from their pizza than just “pretty good,” and many of those people frequent 2 Amys near Cathedral Commons. 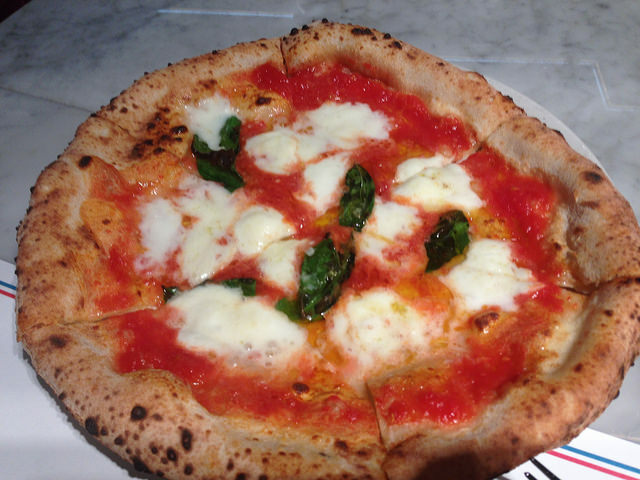 Adhering to the strict standards established by the Italian government for Neapolitan pizza (soft-grain flour, fresh yeast, water and salt, along with plum tomatoes, buffalo mozzarella, extra virgin olive oil and fresh basil, all cooked in a wood-fired oven), the pizza at 2 Amy’s tops many local food writers’ “best of” lists. Regulars agree, calling the classic Margherita, as well as the Norcia pie with prosciutto, some of the best in the District. (Don't skip the porchetta on Saturdays!) The pizzeria's drink list offers plenty of options to pair with your pizza, including custom cocktails, craft beers, and an extensive wine list. Note that 2 Amy’s does not accept reservations, so at peak times there is almost always a wait, but critics and regulars alike promise that it’s worth it.